Are you REALLY at risk of falling? will fall once a year. The potential for falling should be taken seriously as it accounts for one-half of deaths due to injury. Is there a way to prevent falling? The Moore Balance Brace is a flexible and lightweight brace that is comfortably worn inside a person’s shoe to help reduce the number of potential falls. If you would like more information on balance braces, we would be glad to help. 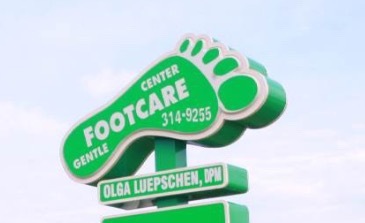 Call the Gentle Foot Care Center office to speak to one of our friendly staff members.